For 2018-19 I am the lead Artist on the Supersmashers Programme at South London Gallery; an art and play project for looked-after children living in Southwark. 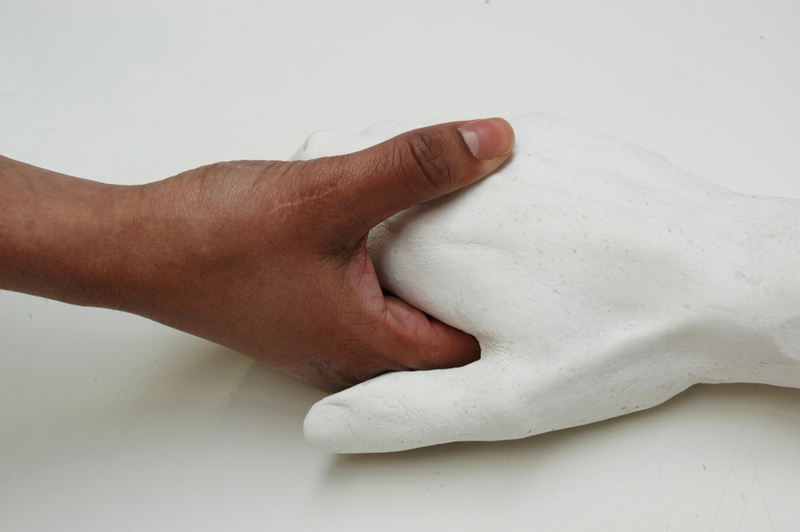 Over the year we have used the body as a structural device to explore new processes, materials and concepts. I have begun working with ACAVA on their Flourish programme, a family provision for the North Kensington community directly and indirectly affected by the Grenfell Tower fire. I co- curated a new podcast, Regurgitate, with artist, Maria de Lima. The podcast was played on Resonance FM and included contributions from, Alberta Whittle; Alice Martin; Jasleen Kaur; Josie Cockram; Katriona Beales; Rebecca Ackroyd; Rebecca Bellantoni and Susan Conte. I am the current Artist on the Saturday Art Club Youth Programme at the National Maritime Museum. The club is for young people aged 13-18 and offers a free provision for exploring art outside of the school curriculum. Over the year we have used film, textiles and performance to explore themes of identity and belonging. In 2018 I delivered a super 8 workshop at Jerwood Arts to accompany my work in the group exhibition, Survey. 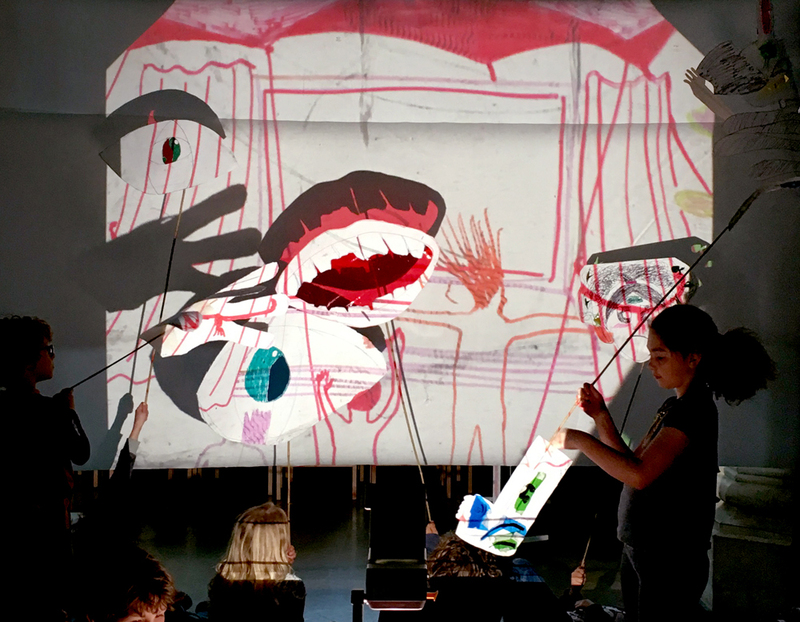 Here we drew onto film to make a collective animation. For 2018- 2020 I am working as Artist Educator on the Art and Us programme at MK Gallery, which offers 1:1 sessions for children with complex needs and their family. For 2018-19 I am Artist in Resident at Woolmore Primary in conjunction with Bow Arts. For this year I will be delivering a series of early years workshops as well as CPD sessions to staff. In July 2018 I exhibited in collaboration with Ark All Saints Academy at the South London Gallery, as part of the Start programme. Here I designed a series of gallery and school based workshops focused on ideas of turning the body inside out- revealing our inner feelings to the world through performative objects. 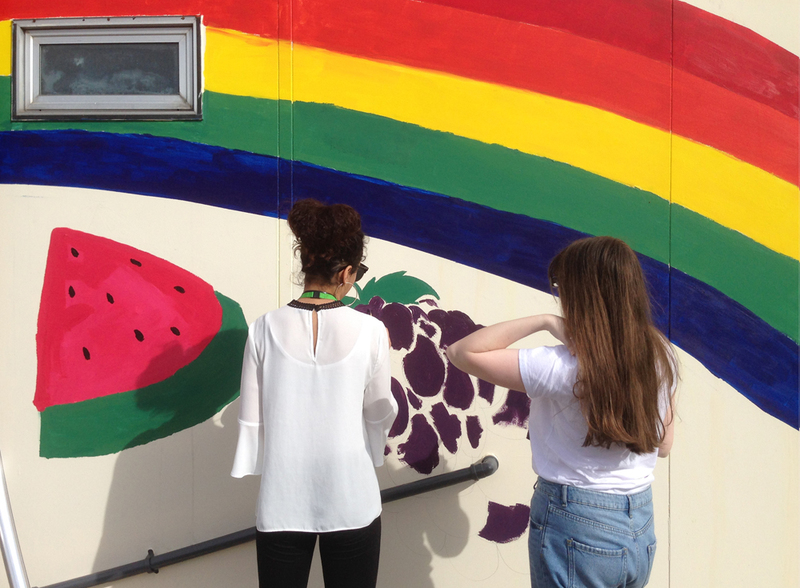 In 2018 I worked with a group of Level 1 Art and Design students from Havering College to design and paint a mural on a local nursery. The mural was 12 meters wide by 3 meters high. In 2018 I delivered a series of Sunday Spot workshops at the South London Gallery, where each week we explored a new sense to experience the world through. 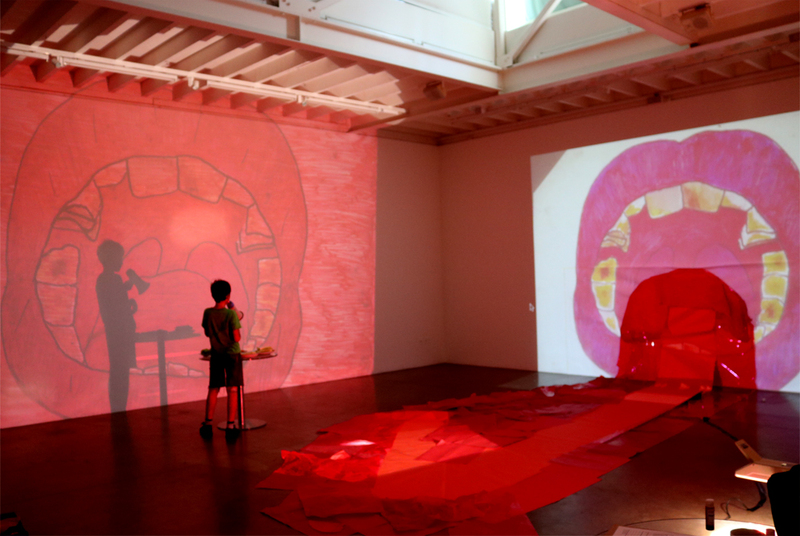 The sessions were aimed at intergenerational groups and used collage, projection, animation and sound. 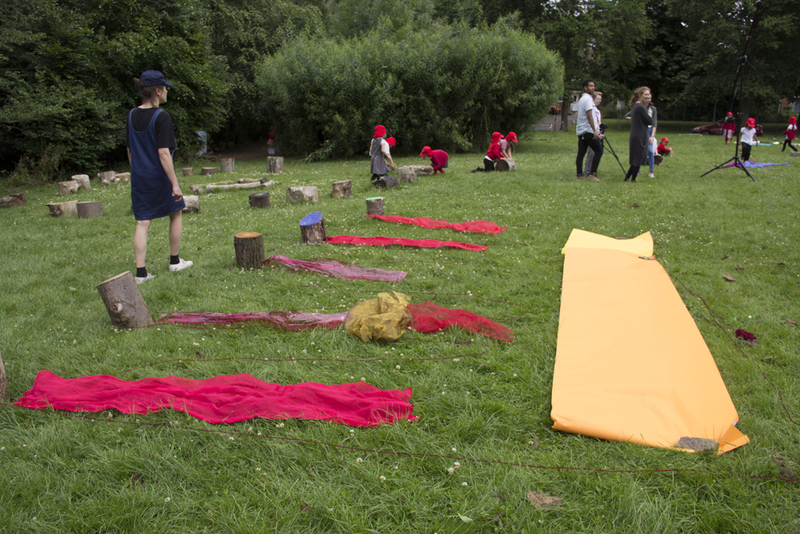 I participated last year in a project at MK Gallery that worked with early years and outdoor learning. Here I was mentored by 5x5x5=creativity, an independent arts-based action research organization, who aim to develop innovative and participatory approaches to practice through a Reggio Emilia model. For this project we reproduced a body to the size of a football pitch and spent the day running around inside it. In 2017 I worked with London Brain Project on the programme, Beyond Memories. Here I made and exhibited work with families suffering with Dementia. Through drawing, printmaking and talking we explored how the house can feel like a body. To accompany my solo exhibition at Space In Between, I organised a community workshop where I invited people to re imagine their local high street by re-locating the feeling and memory of these spaces to specific areas on their body. I was keen to explore how the spaces we live in leave an impression or lasting memory on the bodies we live with. In January 2017 I was Family Artist in Resident at the Camden Arts Centre. I explored themes of body, movement, gesture and rhythm through a series of ’Studio Takeovers’. 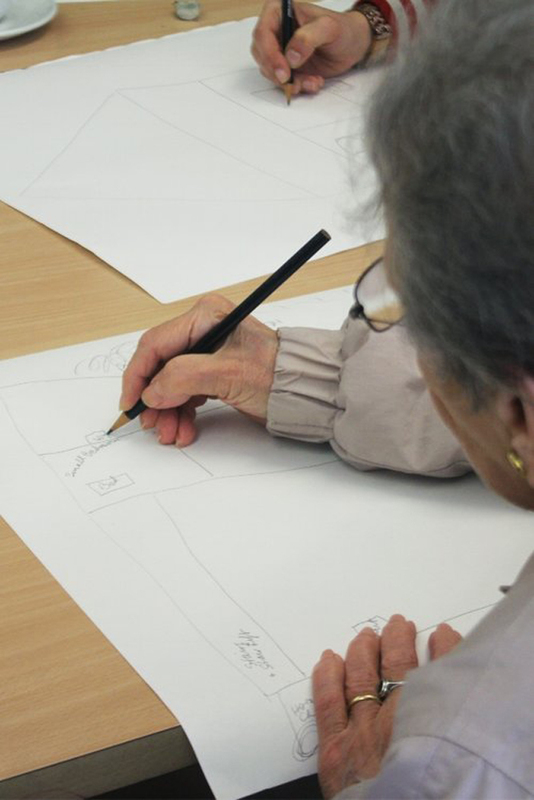 Working with Cinema 6, we devised a workshop as part of Intergeneration at Flat Time House, which was aimed at families who want to tell stories to, and with, each other. The workshop bought together special effects from very early cinema to state-of-the-art 3D cinema to help young people tell stories about their own past and possible futures. In 2014-15 I was an Artist on the Artists in Residence Workshop Program at Tate. Here I worked with a variety of secondary and primary schools using performance, drawing and collage to reimagine how bodies feel, look and behave in the museum. In 2015 I worked in collaboration with Schools and Teachers to devise an activity as part of the resources. My activity, M is for Moving Through, Moving You, sought to use performance as a way of navigating exhibition space through feelings. I helped to conceive and initiate the artist run project space, LOCOMOTION, which held its inaugural Artist Moving Image Festival. For this we co-curated a 3-day program of international artists film and video work that was screened alongside a series of talks. I participated in Thinking Currency, alongside Alice Martin and Maria Dada as part of the [Again] conversation series.